Headlight focusing can be performed on any car, van or jeep. Most bulbs can be supplied and fitted. Bosch is a name synonymous with quality and we are proud to be agents for the leading premium battery on the market. We stock Bosch batteries for car, van, jeep, motorcycle, quad, truck, tractor, and industrial machinery. We also stock lawnmower and leisure batteries. 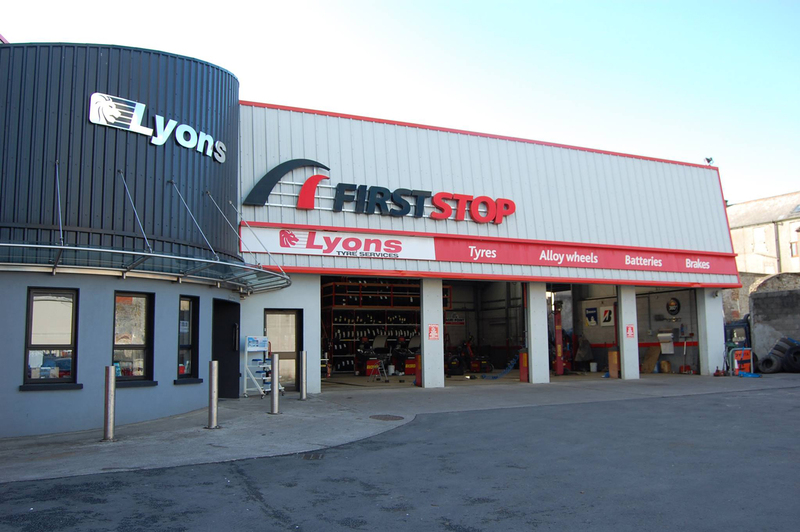 At lyons Tyre Services we repair punctures by patching from the inside, we never plug. Patching is the most effective and by far the safest method of repair as it allows for a full inspection of the interior of the tyre and wheel. We supply and fit champion aevovantage wipers. Champion aevovantage are direct fit and of original equipment quality for your car van or jeep. If you are working or living in or around the Thurles area but are unable to bring your car to us just give us a call and we can organise collection or delivery free of charge. We have a range of alloy wheels in stock and almost all brands and styles including veplica are available at short notice. We also stock locking wheel nuts/bolts and tuner nuts/bolts. Wheel alignment is performed by highly skilled and experienced staff using the Corghi exact blacktech. Using it high resolution cameras to ensure maximum measurement precision the blacktech is the Pinnacle of wheel alignment technology. If the key for your locking wheel nuts has been lost or damaged we can remove the remaining nuts/bolts using the Dynomec locking wheel nuts remover nuts/bolts can then be replaced with standard nuts/bolts or new locking wheel nuts. We supply and fit Mintex brake pads and brake discs. With 200+ brake pads and 80+ brake disc on our shelves we aim to provide a prompt repair to your brakes even at short notice. We can straighten and repair cracks in any alloy wheel. We keep a wide selection of tyres for you quad, wheelbarrow or handcraft.